As a highly-qualified Zend Framework Development Company we provide an extensive range of Zend application services for customers around the world. For years of working with this extremely powerful framework we have delivered an impressive number web projects on its base, among which there are CMS systems, e-commerce websites and different kinds of web apps and sites for various business industries. 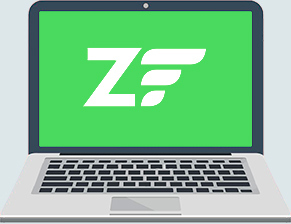 Whether you would like to start a new venture or think on upgrading an existing one, ZF is a great choice for developing a high-performing PHP web applications. It offers a set of extendable components that gives skilled coders an opportunity to create unique functionality for your project. Even though this framework offers a lot of documentation, has large dev community and dozens of blogs to derive the knowledge from, due to its fully object-oriented approach, various components and overall complicacy, it requires professional assistance when it comes to website creation. Our team of php zend developers considers this framework of a strong potential and has already gained proven expertise successfully accomplishing various PHP projects. The dedication and passion of our team and a significant number of satisfied clients allow us with proud call ourselves a reliable Zend framework development company. There are many benefits of using ZF2 for both developers and business owners, below we offer you a couple of the most prominent ones. Zend framework has quite a number of rigorous guidelines, but they will not hurt your project or business at all, the other way around these standards guarantee that only well structured, clean and fully tested coding will be used for your project implementation. An exceptional flexibility of the framework allows us to fulfill any kinds of custom programming work on a high level by delivering top-notch secure PHP Zend applications that correspond all your requirements and technical standards as well. Regardless the industry and a size of your business, we build smart and competitive web applications and business software at a reasonable price. We offer a wide range of eCommerce development services, along with profitable fully-functioning websites our designers can create exclusive ZF themes tailored just to your requirements. With the best tools and strategies we can help you to smoothly upgrade the existing site built on ZF 1 to the latest version. Developing your web project with Zend we guarantee on-time delivery of relevant results through fully object oriented web applications and sites. Testing is an integral part of our application creation process. Detailed quality check is a final stage of all the high-end solutions we provide. SocialEngineMarket team uses the most recent technological benefits of this set of professional PHP packages in order to provide affordable and secure solutions for growing your business. Explore the unique advantages of object-oriented concepts and robust functionality of PHP Zend development today!